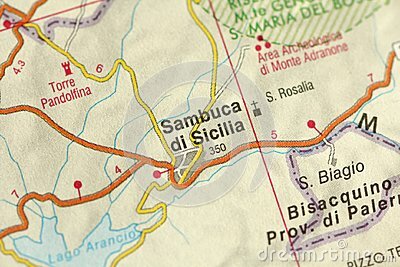 Sambuca di Sicilia. Map. The islands of Sicily, Italy.